Since this build the GP modul is also integrated with the new way of data preparation. 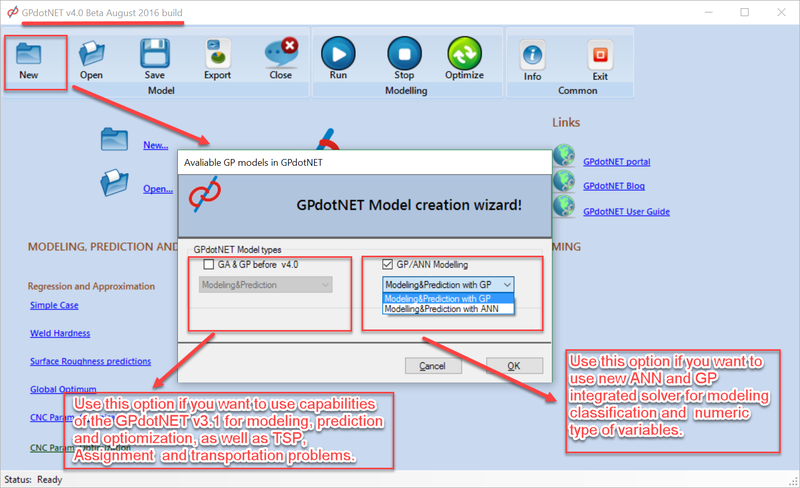 Now with the latest version of GPdotNET the user will have the same user experience in modelling with GP and ANN. The big news for this build is ability for modelling classification problems (two-class as well ) with Genetic programming. Multy -classs GP solver will be released soon. Separation of the previous and new version. Both are included in the latest build. As picture shows below you can choose models from prevous version on the left side. 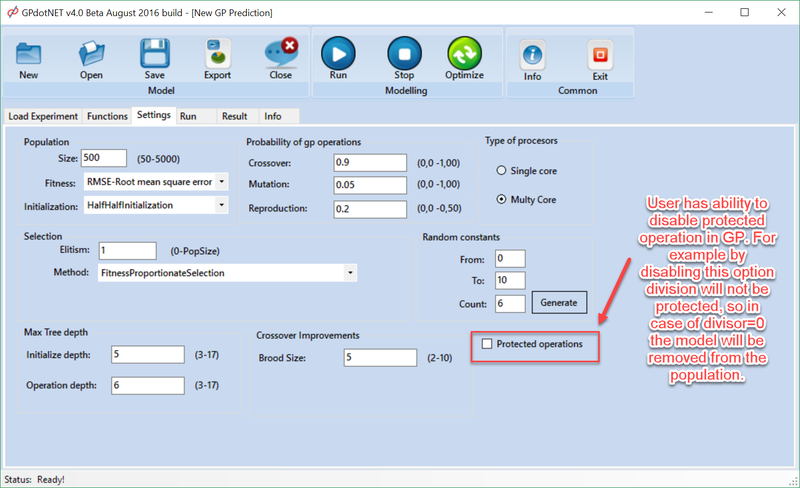 On the right side of the new model dialog, you can select modeling and prediction with ANN or GP. 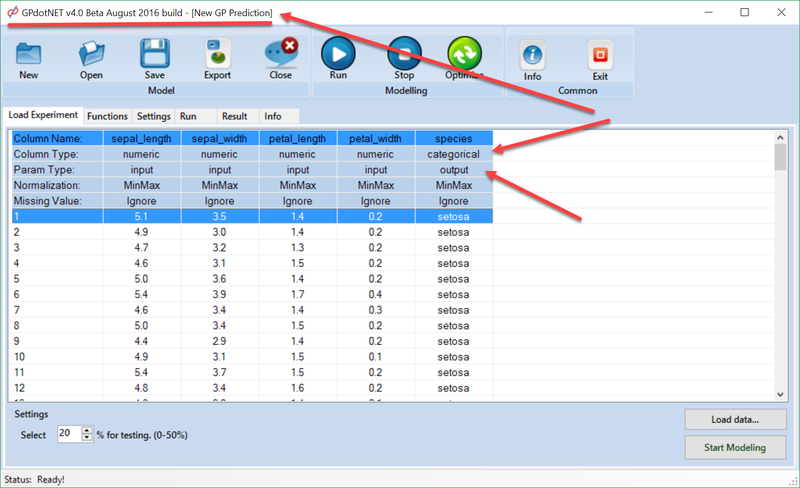 After you select the solver GPdotNET is ready to accept the data. From the previous blog post you can see more info about loading and handling data. The same user experimence you can see regadles of the solver type (ANN or GP). Beside this GP integration there are several bug fix which were reported from the users. In GP solver the new feature has been added: Ability to disable protected operations. In the previuous version of GPdotNET protected operations (eg. /, log, ln, etc) are enabled in the model. Whenever operation was undefined for the current value. GPdotNET returned default value (0 or 1). So with protected operation the model is always defined. With protected operations we collect much good genetic material dufirng evolution. In case the option is disable any upprotected operation can discar the model. This option is available in new and previous GP solver. 2. Open/Save gpa file for new Solvers.